This follow on with my report of the USTLG Winter Meeting. Finding the known unknowns and the unknown knowns, Yvonne Nobis, University of Cambridge. Researchers often don’t known what they’re looking for: unknown unknowns, as research skills might need updating, looking for something outside their field or don’t know where to begin. Scientists don’t tend to use the Cambridge libraries (over 100 of them so confusing system) and they want everything electronically so looking for a way to meet their needs. Found most visitors to the science library are those looking for historical (print) information, or students wanting a place to study. ~95% journal are online and ~95% of monographs are still print only. In response to this they will now scan on demand from their own collections for Cambridge researchers (currently a free service as charging would have copyright law implications). As the staff would often need to retrieve these items from storage the scanning has not added too much extra effort. 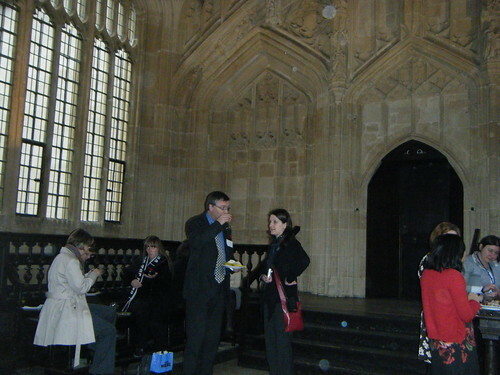 Science librarians at Cambridge do a lot of training of early career researchers. Science@Cambridge contextualises information within a subject area to help researchers start their searching. Includes a federated search option where relevant databases have been chosen (to steer researchers away from just using Google Scholar as they don’t realise what scholar doesn’t index: unknown unknowns). Trying to make resource discovery as easy as possible. Have problems with making eBooks easy to access, especially individual titles on catalogue records. Trialled using chat with subject librarians but not really worked so looking at centralising enquiries more. Training branded through College or Computing Services gets a better turn out than library branded training. Citations Count! Experience of providing researcher training on bibliometrics, citations and Open Access publishing. Kate Bradbury, Cardiff University. Training in citation data in response to REF raising interest in bibliometrics, funders requesting bibliometric data, help deciding where to publish and to promote work. Training covers: WoS/Scopus/Google Scholar, looking for data in other sources (e.g. book citations, full text resources which include references), what each database provides e.g. impact factors, increasing citations, using open access publishing and repositories. Format of training: 30 min talk and 1 hr hands-on using workbooks – activities such as finding impact factors, setting up citation alerts, looking at OA resource and using ResearcherID. Also do shorter, tailored talks for Departmental meetings etc. Sessions dones for subject librarians, staff development programme, specific schools/depts (e.g. Comp Sci, Engin, Psychology) and within seminar series. Lessons learnt: avoid too much detail, stay up to date with new database features and REF, emphasis benefits to researchers, takes time to build interest in training, targeted sessions best, be flexible & adapt sessions to suit audience, be prepared for discussions about the validity and use of bibliometrics! Stance taken: explain how to find information but leave it up to the researchers to decide if it is useful to them, including discussion of pros/cons of bibliometrics. How to pay for OA publishing? Shouldn’t we just write controversial articles to up our citations? What about highly cited, poor research? My journals not indexed in WoS, how do I get citation info? How to find book citation info? What about self-citations? Will they be excluded from REF? What is a good H-Index to have? Doesn’t H-Index just reflect length of career? Where’s the best place to put an OA article? I use a subject repository so why also use institutional repository? What next in terms of training? – Continue with sessions, support subject librarians to run their own sessions, introduce Bristol Online Survey to collect feedback from attendees, respond to individual follow-up questions and do a separate presentation on OA publishing. Wiley Publishers: WIREs, Alexa Dugan. WIREs = Wiley Interdisciplinary Reviews. Reference work meets journal review article – a new concept in publishing. Have been finding it difficult to find authors/researchers with enough time to devote to writing traditional reference works, especially as those works do not gain professional recognition .i.e. they are not indexed or cited. WIREs is Wiley’s answer to this: invited content with high quality editorship, drawing on their research journal community ties (so like a reference work), but also managed to get them indexed in major databases and WoS so the authors can get recognition. Each Review has a carefully thought out structure, which is kept up to date with a range of article types e.g. focus (news) articles, opinion pieces, basic reviews, advanced reviews etc. Content is added every two months (so serial like a journal) & articles retain their title and DOIs for citation purposes. One of their flagship titles: Climate Change Review has won several awards already. 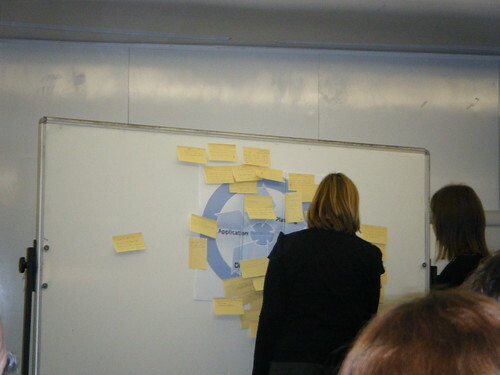 Researcher@Library – becoming part of the research cycle, Katy Sidwell, University of Leeds. Leeds, like many of us, have managed to get a certain amount of library training embedded or offered to PhD students, but what about Academics and other Researchers? Ides (pre-funding) – Planning (finding application) – Action (research/life of grant) – Dissemination – Application (of research knowledge/transfer) – back to beginning of cycle. They got us to think about how we all support these stages of the cycle & feedback (using post it notes – a good bit of interactivity to wake us all up!). 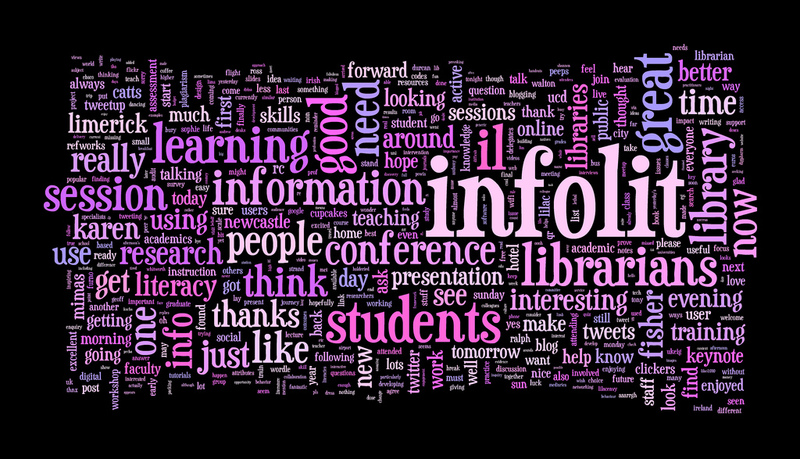 Ideas = library collections, current awareness & literature search training. Planning = Identify funding sources ^ support research bids (though in Leeds this only happens in particular areas as it’s labour intensive and unscaleable). Action = PhD workshops, bibliographic management, lit search support, data management advice, user behaviour research, friendly space for researchers. Dissemination = RAE/REF support, etheses online, institutional repository, publications database. Application = intellectual property advice (Business officer), market research for knowledge transfer e.g. patents. Hard for researchers to know about training – where/how to promote? Created a website for researchers to bring together the various things available to them (need user needs analysis to find out what to put there). Researchers wanted a website that was not solely library resources/focused, not tutorial but advice that could be dipped into at appropriate time, simple navigation, no login but not really basic advice – appropriate to their level. Work in progress – need to clarify purpose, look at navigation issues, obtain feedback and roll out across other faculties. Where now? – created Library Researcher Support Group to continue the work and look at how it fits in with the new Vitae researcher development framework. A good day all round. The presentations from the day can now be viewed at the USTLG site. 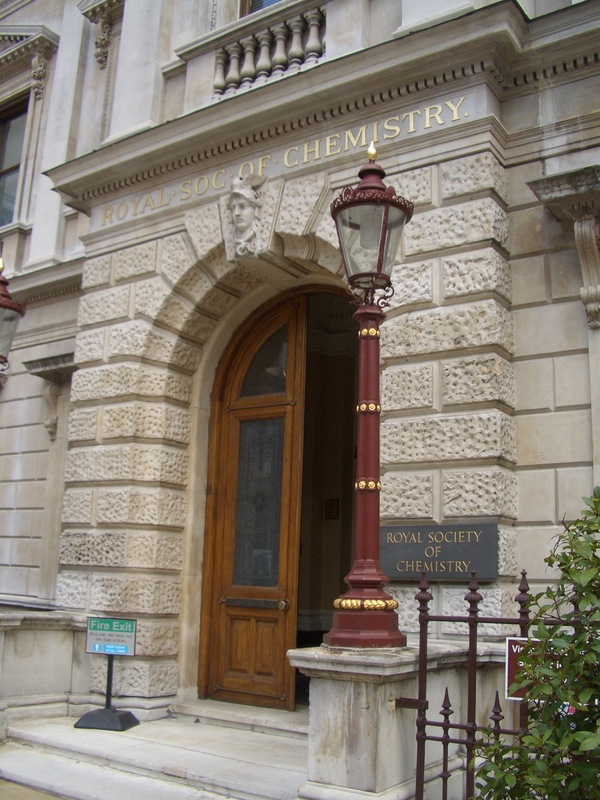 In May I visited the London headquarters of the Royal Chemistry Society in Burlington House to attend an event entitled ‘Chemical Information for the Chemist and Non-Chemist’. As I’m new to the world of Chemical Information (albeit armed with my knowledge of information resources and an A level in Chemistry) I’d been looking out for a session to expand my knowledge and this seemed perfect. For those interested, the slides are available on the CICAG (Chemical Information and Computer Applications Group) website – just click on ‘previous meetings’, but here I wanted to talk a little bit about what I learnt about chemical information in general at the event. Since I started getting up to speed with Chemical Information resources I’ve been fascinated by the unique search mechanism of molecular structure. The majority of chemistry-focused databases cross-reference the literature with molecular structures.. This means you can draw a molecule, and then search for articles referring to it. As David Walsh (whose presentation has informed much of my thoughts in this particular post) noted at the event, the naming of chemicals changes constantly according to fashion, the property of the chemical that a particular scientists wants to emphasise, and according to commercial concerns (for example, using trade names, or local laboratory numbers). Drawing the chemical allows you to by-pass a large number of these problems. This seems like the perfect search tool! Surely a mechanism allowing such exact searching means that the core information professional’s toolkit – define your keywords, perform the search, alter keywords, perform your search, iterate until satisfied or exhausted – seems almost redundant? Well, unfortunately for simplicity, but luckily for making information professionals feel useful, this isn’t the case. A lot of the time there’s reason to search for something that’s either more or less specific than a molecular structure. For example, when patents are registered for chemicals they usually use something known as the Markush structure – a molecular diagram which records certain key aspects of a compound, but allows for certain points on that structure to be substituted by a variety of different sub-structures. This indicates that a lot of the time one exact molecular structure can be too specific. On the other hand, sometimes a molecular diagram is not specific enough. For example, the stereochemistry studies at the arrangement of atoms within a compound. When compounds with the same molecular structure are arranged differently, this can give two apparently identical compounds different chemical and physical properties. These different degrees of specificity have interesting implications for the type of keyword generation that needs to happen in searching for chemical information. In a lot of subject areas I’d advise looking to see what’s available in the literature before deciding how specific to be in search terms: in a little studied area you tend to go quite wide and gather in a lot of related literature; in a widely studied area you can afford to be quite specific. However, in chemical information you can define up-front whether you’re interested in a wide group of compounds or just a very specific isomer and use this to inform your search. 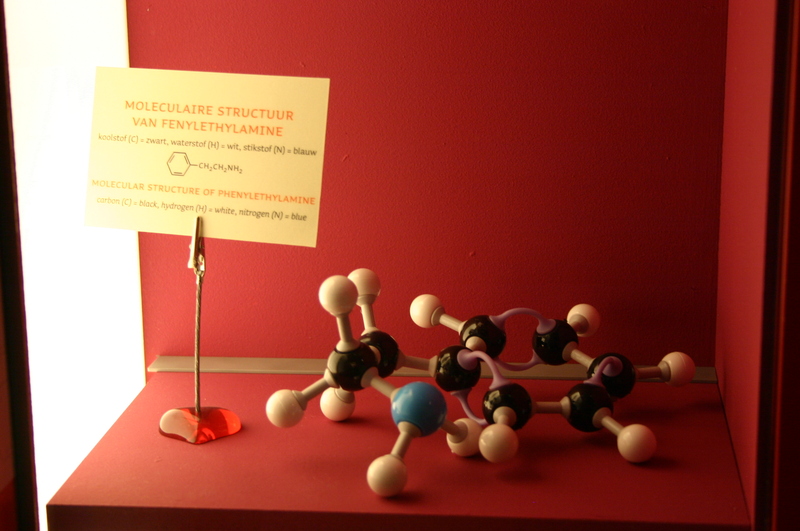 The downside being that the beautifully simple molecular structure search isn’t always the one you want. Over the summer I’ll be thinking more about how the different kinds of information used in Chemistry affect the way it can be taught, and learning more about the different kinds of notation that are used. I’d highly recommend looking at David Walsh’s slides, entitled ‘What Makes Chemical Information Different?’ from the event to get a good overview of many of the different types of notation used. However, I think cramming all of these into a one hour session might make students cry! Following on from my post USTLG Spring Meeting Redux (Morning), here’s few notes on the afternoon. Theme for afternoon: social networking. Advocating professional social networking to academics. Paula Anne Beasley and Linda Norbury, University of Birmingham. The subject librarians are well placed to advocate Web2.0 tech for gathering information via social networks. Found a knowledge gap for those not using Web2.0 or not of the generation to ‘just have a go’ at things & prefer some training. Surveyed staff in College of Physical Sciences & Engineering about their use/knowledge of Web2.0 using a free text survey. Responses variable, but enough interest to offer training session. Major issues from survey were whether Web2.0 tools were secure/stable, whether there was a University policy on using them and a lack of knowledge. Anne & Linda managed to get the College Academic Enhancement Group interested in the session, and all invites went out from that group rather than from the Library. The training session that was offered was originally going to cover blogging and twitter. However, as Linda got stuck abroad due to the ash cloud it became focused only on blogging on the day. 31 attendees for session: academics, admin staff, researchers & Emeritus Professors. Got very good feedback and the attendees were enthusiastic about blogging on the day. They hope to follow-up with seminars on social networking and social bookmarking, plus a support course in Blackboard. No-one else in their University is currently offering training in this area. ‘Do Librarians Dream of Electric Tweets?”, Gareth Johnson, University of Leicester. Why use things like twitter & Blogs? For professional networking, self-reflection, sharing experiences, staff development, answering enquiries, motivating staff etc. Can be very powerful tools. Like Gareth, I pick up lots of useful information and links to new reports via twitter now rather than by other routes. When using these technologies it is important to be human: respond to people, don’t just broadcast, share things. The best use of web2.0 csome when you allow it to overlap your personal, workplace and professional lives, but if you’re not comfortable with this level of engagement it can still be useful when used only in work hours. Important to “find the right tools for you”. View more presentations from Gaz Johnson. 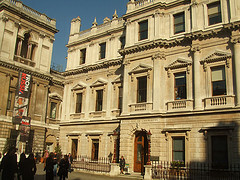 Royal Society of Chemistry, Burlington House. Photo by Matt_Fom_London via Flickr Creative Commons. 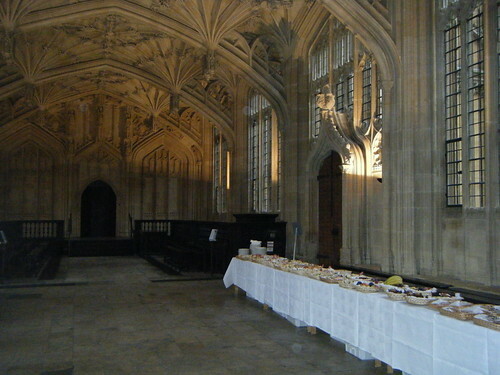 Gareth had already blogged about this event, but here’s my take on it too. Theme for the morning: Go to the users, wherever they are online. Taking your service to scientists: embedding subject-specific resources within VLEs. Jon Fletcher. Nottingham Trent University. Talked about embedding library resources & links into the VLE so student “don’t have to remember where to go” to get stuff. Student feedback suggested that they often forget how to use resources between years/terms/f2f sessions. University mandate that all courses should have a VLE site. Includes links to catalogue, metalib, referencing guidelines, library homepage etc in all science courses. 5 step guide to embedding: Consult/design resources using a team approach, get permission/access to VLE course, embed resources, consider sustainability & update when needed. Often need to ‘sell’ the resources/need to embed to the academics, but once in a few courses then get a snowball effect due to good student & course team feedback. Embeds all his teaching resources as well as core library resources. Sustainability: think about time/workload required, timescales and the tools needed. E.g. previous html editor wasn’t up to the job so now uses Wimbacreate. There approach is to use a repository and link all courses to one version of core resources page so easily updated in one place by more than one person. Updating: design so it only needs updating once or twice a year. This initiative has led to more visibility, embedding of f2f sessions, more liaison with academics and more enquiries. Currently a trial and only being done by Science team. Just about to start using TalisAspire for reading lists. Approx 1-2 weeks of time needed to build resources & embed them. Moved subject-based library pages within the VLE and linked out to other types of library pages. Stats on what is being accessed via the VLE. Creating a MyLibrary dashboard app using a customisable online tool (JQuery UI). A project which will go live for students to trial in new academic year. App draws info from various places e.g. library systems, shibboleth (for authentication, google etc. Tracks what resources are being used. Wanted to identify 80% of ‘start’ points for 80% of tasks that 80% of users do 80% of the time by asking 130 students where they look for resources. Student feedback was that there start points for university work/resources were google, OPAC, reading list, Blackboard VLE, databases, library homepage or student homepage (in that order of preference). The first place they go when sitting at a university PC: Uni email, Google, Blackboard, Facebook. Key library services: ejournals, renew books, search resources. They do not use the library homepage as anything other than a gateway & don’t read library news. Happy to use search tools but unsure of finding the right search tools in the first place. customer journey mapping of tasks such as finding an article form a reading list showed very convoluted routes to get there! Hope MyLibrary tool will help get them there quicker. Can put MyLibrary button in variety of places they use frequently such as Facebook and VLE. MyLibrary tool tabs for modules, resources, announcements, eResources/eJournals, MyItems(loans) & more. eResources pulled from subject categories on Metalib. eJournals via SFX (can search & choose favourites). MyItems/MyRecord from Aleph library system & can renew via tool. TOCs from JISC tic TOCs service. GO TO WHERE THE USERS ARE, rather than expecting them to come to the library homepage. If the tool is successful then they will re-evaluate the role of the library homepage. Several months work and development. 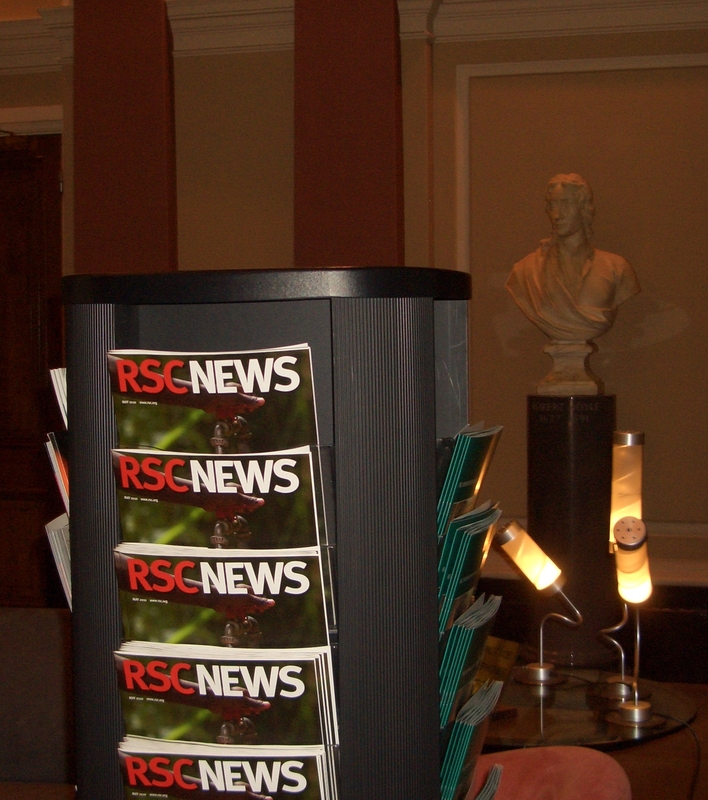 Got a quick overview of the new RSC interface and they are very keen for librarian feedback. Either via their survey or as beta testers. Quick look at ChemSpider, an excellent, free chemical structure resource. 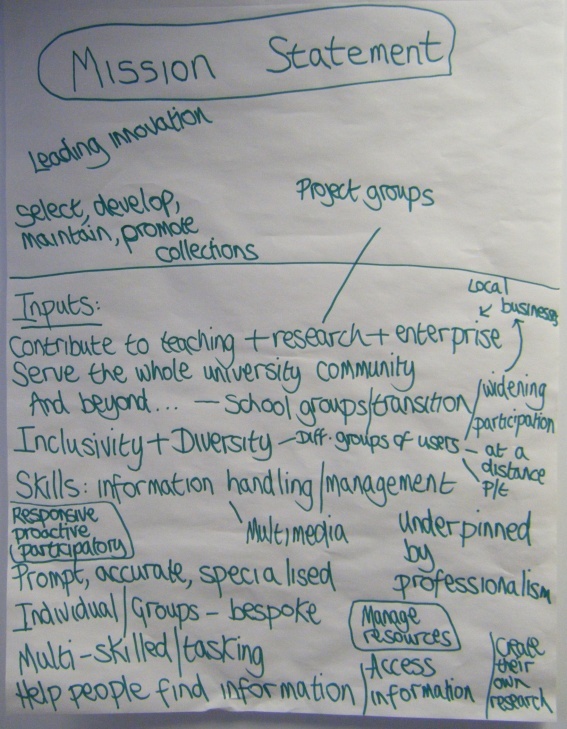 Developing the information literacy practitioner; the OU’s training needs analysis by Wendy Mears. The context of Wendy’s talk was that the OU needed to know what training information literacy librarians needed in order to learn new technology, cut the time needed for course production, and deliver increased return on income for library resources. 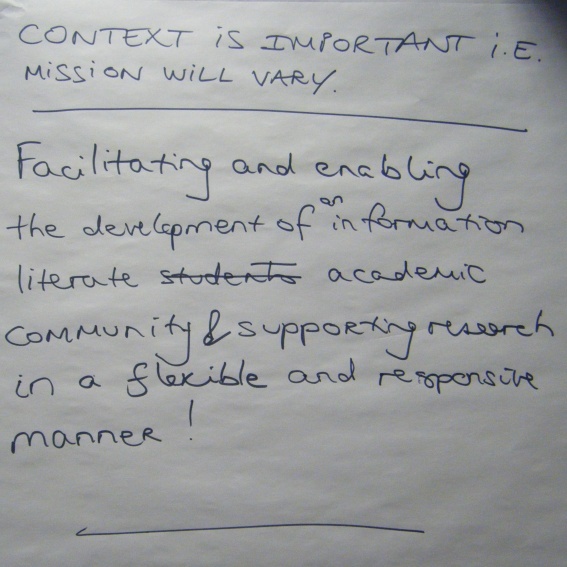 Information literacy integration in OU courses is seen as a key indicator of library success. 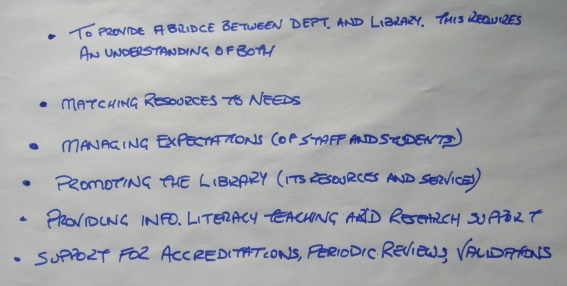 Mary Auckland undertook a training needs analysis based on the current and future demands placed on information literacy librarians. This included a literature survey, conversations with key thinkers, anonymous survey of the libs (using survey monkey) and focus groups. Some of the skill gaps identified were: influencing & persuasion skills (for use in meetings), making a case for information literacy in pedagogic terms, marketing & advocacy skills, assertiveness and creating generic information literacy materials. There were also gaps in technical knowledge with regards to Moodle, Word, Powerpoint, Elluminate, social networking, web2.0 and Excel. A development plan was produced with ten recommendations, such as librarians taking OU courses, updating job descriptions, keep a watching brief in new technologies, develop key competencies and research support skills. As with anything, budget was a major factor in responding to the training needs so some needs will be met through existing channels e.g. staff developement hour (hour for training every week), appraisal process, visit from external speakers and University internal training events. New initiatives included: using internal experts, bringing in external experts to provide tailored training and supporting external events/qualifications. Four months in it is difficult to tell if the new training initiatives have had much impact, but it helped define librarian roles as well as training needs. 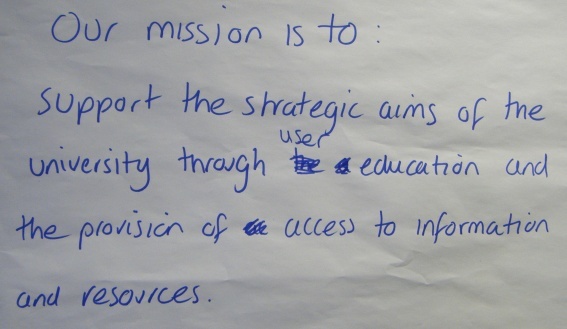 It highlighted existing good practice and ways to use internal resources where possible. 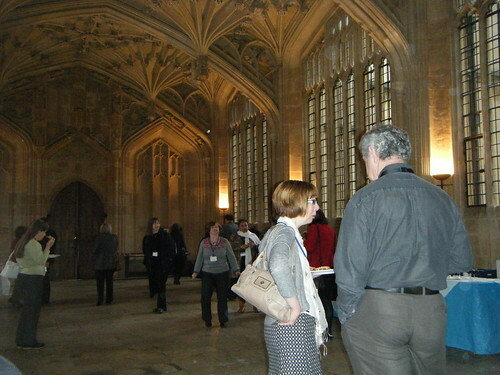 Students, Librarians & Marketing the Library by Becky Laing, Loughborough University. Becky outlined how the library became in a marketing module that is run by the Department of Information Science for their PG students. The library was asked to produce marketing briefs for the students to work on, and the students had to present their marketing pitch to the academic librarians. The briefs were for marketing the library journals, subject librarians, information literacy & study skills, Metalib (library portal) and Library space. The students were also given a subject librarian they could contact for more information if needed. The students came up with some interesting ideas that the library found very useful. (See Becky’s slides for more info). For example, they suggested a leaflet and video to advertise the subject librarians, and more targeted marketing to encourage different groups of students to use the journals. The library also learnt some things about how students perceived the library services, for example, the library had been thinking about rebranding their study skills sessions with a more exciting name, but the students thought study skills was the best way to get across what it was to other students. Overall the module was a big success as the students found it useful to work on real briefs, and the library will be taking some of their suggestion further. So, always good to get hold of tame students! Overall I think the most useful part of the day was the reminder to continually review what we do, where we’re heading and how to show our worth. Alternatives to using a wiki to teach? I’m looking for some advice or suggestions on alternatives to using a wiki during a session. Last year I blogged about my experience using a wetpaint wiki with 1st year computer scientists which overall went well as the students liked the option to interact online, rather than interact verbally in the classroom. We found last year and so far with the group this year that they are far happier doing things in front of a computer! Anyway, there are up to 70 students and I would like them to comment on issues such as the pros and concs of wikipedia during the session. The wetpaint wiki would not allow several people to edit at once so most of the students entries were lost or overwritten last year. If anyone can recommend an alternative solution? – wiki software that will let multiple people edit? – chat room software that can deal with a big group? – would a blog allow lots of people to comment at once? Or would it fall over? I only really need the software during the session, as I’m not expecting them to add to it afterwards, so it needs to be free and easy to use/register for. I would have used a Blackboard discussion board but this module isn’t using Blackboard!